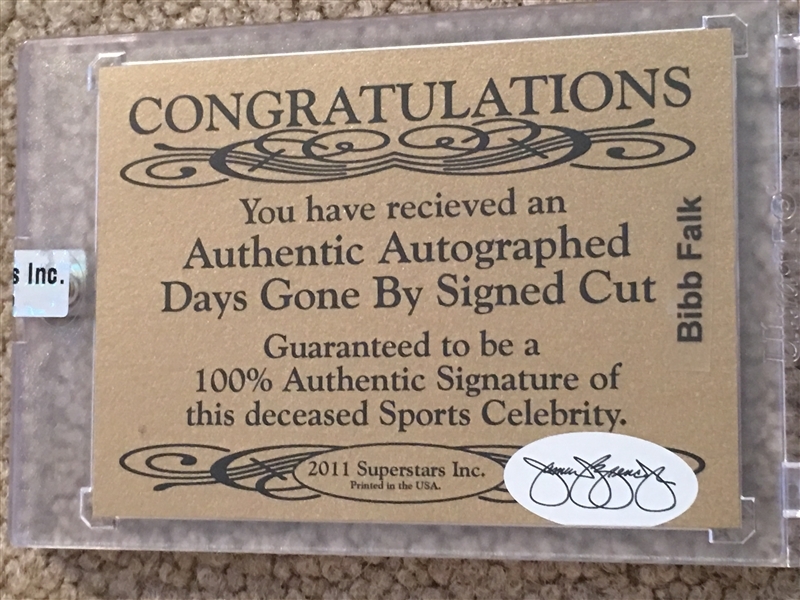 Lot Detail - BIBB FALK CUT SIGNATURE JSA COA SSI SEALED 3/6 Read!! 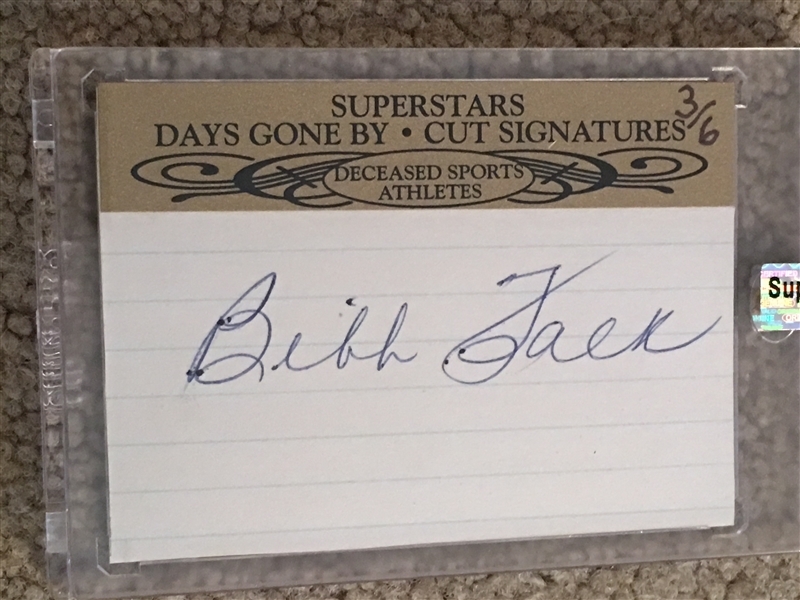 BIBB FALK CUT SIGNATURE JSA COA SSI SEALED 3/6 Read!! BIBB FALK IS THE PLAYER THAT REPLACED SHOELESS JOE JACKSON IN 1920 WHEN JOE JACKSON WAS KICKED OUT OF BASEBALL FOR THE 1919 BLACK SOX SCANDAL WHEN THE CHICAGO "BLACK" SOX THREW THE WORLD SEERIES TO THE CINCINNATI REDS.... NO MINIMUM BID....... NO BUYERS PREMIUM.........FREE SHIPPING on $25 or MORE..... FLAT RATE $3 SHIPPING on orders UNDER $25...... AND W SHIP MINUTES AFTER THE AUCTION ENDS AND HAVE THE THE ITEMS TO THE POST OFFICE THE DAY AFTER THE AUCTION ENDS ... NO ONE SHIPS FAST !! !